In normal circumstances the end of the year is associated with having a good time with family and friends and celebrating New Year eve and Christmas. For the people in the accounting and finance industry, this is the time for ensuring that the financial books are in order and all the documents are properly placed. 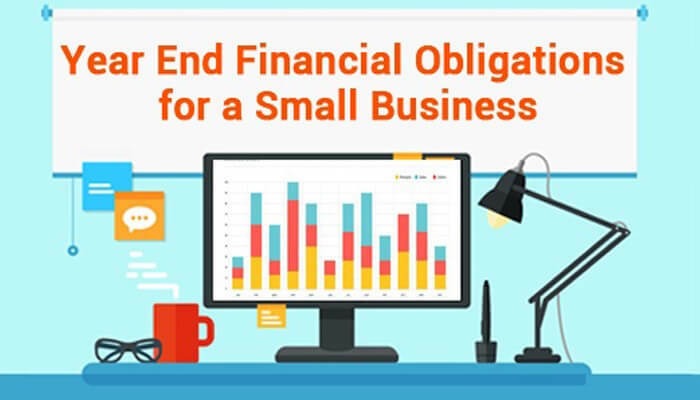 This is the opportunity to move in to a New Year after completing all the previous year’s accounting and finance for small business obligations. This is the task which should be given maximum emphasis in the year end checklist. Those business owners who maintain the records of their receipts in a proper manner; themselves or by hiring accountants or bookkeepers will not find this task much difficult. Those companies where the receipts are maintained in an unprofessional manner will find this process difficult. At the end of the year, the important financial statements like the balance sheet, income statement, and cash flow statement must be studied to access the correct financial status of the business. You must have a complete idea regarding the revenue, expenses, assets and liabilities of the business. Based on this information various ratios which help in finding out the financial status of the business like current ratio, total debt ratio and profit margin can be calculated. Once you have ascertained the current position of the business, you’ve have to look back at the position at the beginning of the year. You have to review whether you were able to achieve the goals stated at the end of the year. In this manner you can analyze the progress of the business over the year. Every business owner wants to ensure that they can reduce their taxes as much as possible. Any tax deduction is a profit for your business. You can consult a tax expert for finding out if any improvements can be made in your tax strategy. But you must ensure that whatever tax strategies you follow are legally acceptable. Once all the financial information is available, you can plan for the future. You can learn from the mistakes committed in the past and make better strategies for the future. The year end financial statements can act as a road map for the future. By following the above mentioned tips, you can ensure that your year end financial obligations are fulfilled in the right manner. Previous Previous post: How to Choose the Best Payroll Processing Outsourcing Company For Your Business? Next Next post: Have You Ever Considered How Finance and Accounting Outsourcing Can be Beneficial for You?